It’s Graduation Day for the ATM Fellows! 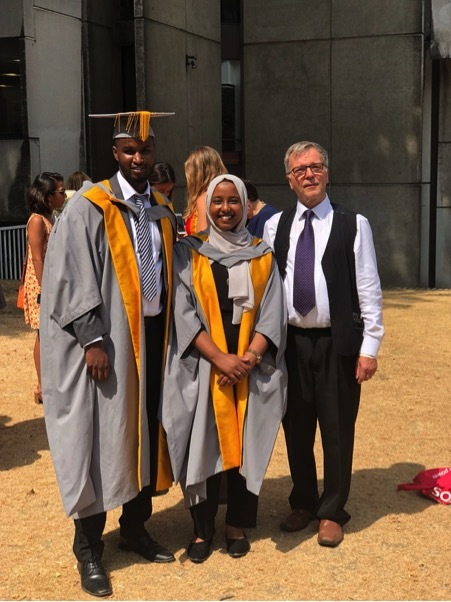 The prestigious ceremony took place on the morning of Wednesday 25th July at SOAS University. Representatives from the school’s teaching staff, fellow graduates, honorary fellow Kanya King CBE MBE, family and friends were present and ready to celebrate the achievements of graduates. 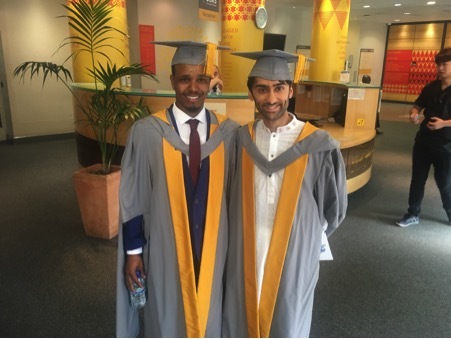 Fellow Abdiwali Elmi and Rizwan Amin after collecting their gowns. Dr. King spoke deeply about the importance of fostering narratives that truly reflect the communities all the students come from. 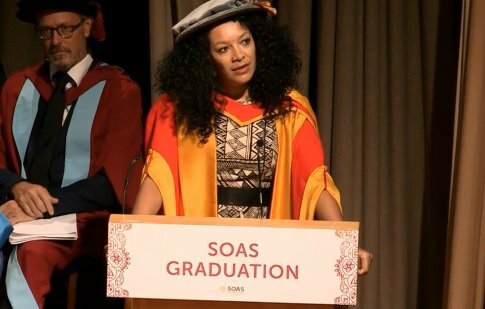 Dr Kanya King at SOAS graduation gives opening remarks at first graduation ceremony. This year we welcomed 15 committed future community bridgeheads to take on the challenge that is the ATM Fellowship with ATM. 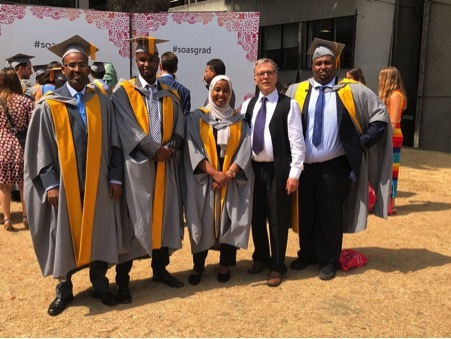 SOAS lecturers Dr Sham Qayyum (who is also the Director of the Council of Somali Organisations and Dr Werner Menski delivered quality teaching and our sponsors Dahabshiil made it possible for the programme to take place. Students have spent the last six months undertaking lectures, research and presenting their ideas to peers and wider colleagues as a starting point for illustrious future community leaders. The Anti-Tribalism Movement created the Fellowship programme in order to produce leaders to “ensure that the voice and needs of the community are represented at all levels of public decision-making”. A private graduation dinner took place shortly after the graduation with speeches from everyone who was a part of delivering the ATM Fellowship programme this year. Prizes were awarded to the top performing students this year who were: Abdiweli Elmi, Hamdi Mohammed and Intisar Yusuf. Abdiweli was especially recognised for exceptional academic contributions. Fellows posed for a picture right after they were treated delicious dinner to celebrate their graduation. It is the hope of the ATM, sponsors Dahabshiil and SOAS staff that the programme has equipped students with the tools to fight the causes that they are most passionate about. So, in the words of 19th-century Indian poet Pash, as quoted by Dr Grover at the ceremony today, “we wish you dreams, hope and resistance” in all your bright future endeavours.